We’d love your help. 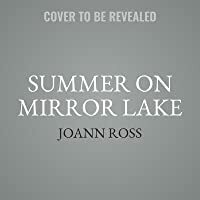 Let us know what’s wrong with this preview of Summer on Mirror Lake by JoAnn Ross. To ask other readers questions about Summer on Mirror Lake, please sign up. Hot shot stock trader Gabe Mannion lands in the emergency room after the funeral of his mentor. The ER Dr informs Gabe that if he doesn’t change his lifestyle he could end up the same place as his mentor. Gabe returns to Honeymoon Harbor for a summer sabbatical. He meets small town librarian Chelsea Prescott and is immediately attracted but knows she is the forever kind of woman. Gabe will have to decide if the high pressure New York life he leads is making him happy. I liked the romance between Hot shot stock trader Gabe Mannion lands in the emergency room after the funeral of his mentor. The ER Dr informs Gabe that if he doesn’t change his lifestyle he could end up the same place as his mentor. Gabe returns to Honeymoon Harbor for a summer sabbatical. He meets small town librarian Chelsea Prescott and is immediately attracted but knows she is the forever kind of woman. Gabe will have to decide if the high pressure New York life he leads is making him happy. 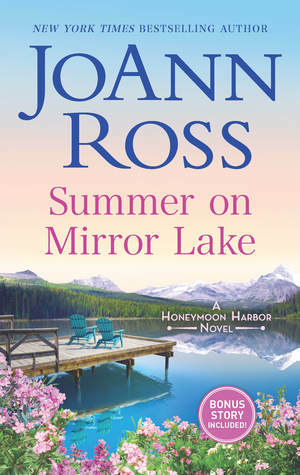 The third full length book in the Honeymoon Harbor series by JoAnn Ross didn't disappoint. This is Gabe's story. He returns home, on the doctor's advice, after suffering an anxiety attack at his mentor's funeral. He was so young, only 46, so when the doctor tells him he needs to slow down or that will be him, Gabe listens. Although he tells his brother Quinn, the reason for his return, no one else knows. He meets the local librarian Chelsea and all bets are off. 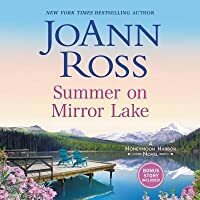 She gets involved with two sisters The third full length book in the Honeymoon Harbor series by JoAnn Ross didn't disappoint. Although he tells his brother Quinn, the reason for his return, no one else knows. He meets the local librarian Chelsea and all bets are off. She gets involved with two sisters in foster care, whom she meets and befriends at the library. This is a story about accepting your limitations and realizing life will pass you by if you don't stop and give it a chance. There is a lot of Norse descriptions provided that fit in with the style of the story and Gabe's boatbuilding background so be prepared. They got a bit too much at times so for that reason I would give it a 3.5 out of 4 stars. Still excited for book 4 whenever it comes out. New York Times bestselling author JoAnn Ross has written over a hundred novels for a bunch of publishers. Two of her titles have been excerpted in Cosmo and her books have also been published by the Doubleday, Rhapsody, Literary Guild, and Mystery Guild book clubs. A member of the Romance Writers of America's Honor Roll of best-selling authors, she's won several awards, including Romantic Times's New York Times bestselling author JoAnn Ross has written over a hundred novels for a bunch of publishers. Two of her titles have been excerpted in Cosmo and her books have also been published by the Doubleday, Rhapsody, Literary Guild, and Mystery Guild book clubs. A member of the Romance Writers of America's Honor Roll of best-selling authors, she's won several awards, including Romantic Times's Career Achievement Awards in both category and contemporary single title.